You are here: Home / Our Blog / Helpful Resources / What Does a Title Company do for you in the Real Estate Transaction? Have you ever wondered exactly what title companies do? A St George title company is one of the most important aspects of any real estate transaction and provides services that are more intricate and involved than you may have thought. 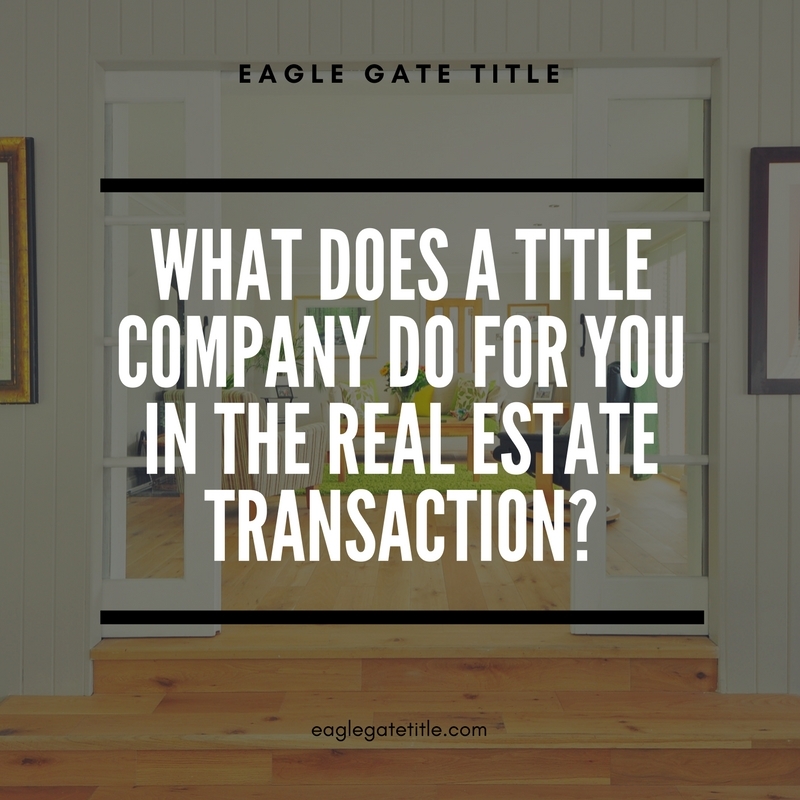 Title companies are mainly responsible for assuring that real estate properties have valid titles as well as title insurance. The management and care of escrow accounts is also a common service that a St George title company provides. A brief description of each of these tasks, including why they are important to the real estate transaction, will be discussed here. When a person purchases a property, they must be confident that the title associated with the property is authentic in order to know that they are the new and legal owner. A St George title company will verify the validity of the property’s title. They will perform a comprehensive title search that involves examining property records for the purpose of verifying who is the true and legal owner of the property. This search will also make absolutely sure that there are no unresolved financial obligations associated with the property such as unpaid taxes, judgements, liens, outstanding mortgages, leases, easements, and any other potential restrictions. Another important aspect of this title verification process involves a property survey which dictates the size and boundaries of the property and addresses any possible property encroachments by nearby property owners. After this process is completed, the St George title company will provide a document called the abstract of title which essentially lays out the property’s ownership history, after which they will provide another document called a title opinion which notifies the prospective owner whether or not the title is valid. At the point when a title is determined valid by a St George title company, the next step is to supply title insurance. Title insurance is extremely important because this is how a homeowner and lender protect themselves in the event of a title-related dispute, claim, or lawsuit concerning the property. Two types of title insurance exist: lender’s and owner’s. Lender’s title insurance exist so the mortgage company is protected and owner’s title insurance exists so the property owner is protected. Typically, when you close on a property you simultaneously pay for lender’s title insurance. Owner’s title insurance, on the other hand, is technically not mandatory but you should always consider it as such. An escrow account is vitally important in a real estate transaction because it is where closing funds are kept. These funds are to be used exclusively for costs associated with the formal closing and settlement of the property. When a person is ready to close on a property, a St George title company will provide a settlement agent. This person is responsible for a number things that are designed to organize and simplify the closing process such as securing the closing costs using funds in the escrow account and explaining all relevant documentation to everyone involved. A St George title company will also ensure that all important documents such as deeds and titles are filed appropriately. Poorly or misfiled title documents can result in enormous amounts of time-consuming work when engaged in future transactions having to do with a property. Title companies will make sure this doesn’t happen. Eagle Gate Title in St George, UT is dedicated to providing the most professional and friendly customer experience. 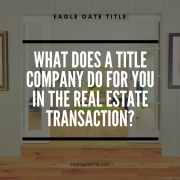 If you have any questions about what title companies do and how we can help you, we would be happy to answer them. Visit our homepage for further information. http://eaglegatetitle.com/wp-content/uploads/2019/02/st-george-title-company.jpg 800 800 aloha http://eaglegatetitle.com/wp-content/uploads/2019/02/logo-300x212.png aloha2019-02-26 16:56:492019-02-27 19:09:17What Does a Title Company do for you in the Real Estate Transaction?